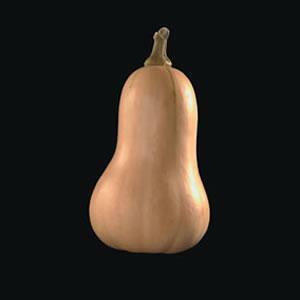 This is the latest addition to our early maturing butternut range. 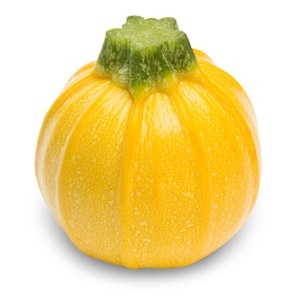 This processing type has large 3.5 kg fruits with great internal colour and flavour. 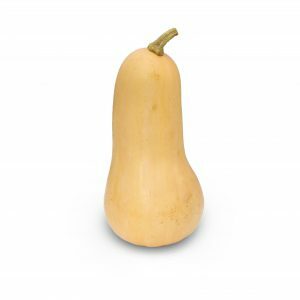 This traditional shaped butternut grows on a full vine plant and has the potential to produce a large amount of uniform fruits. Bred by Tozer Seeds for the Northern European climate. Up to four weeks earlier to harvest than American Hybrids. Fruits average 1 to 1.5kg with a very high level of marketable fruits and a heavy total yield. Another variety from our breeding programme. 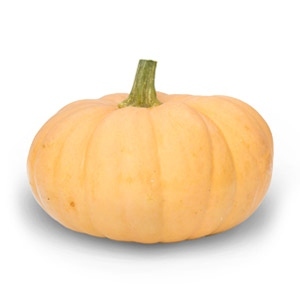 Harrier is the earliest maturing variety available with good yields and attractive fruits. Very well suited to the Northern European climate. Fruits average 800g. 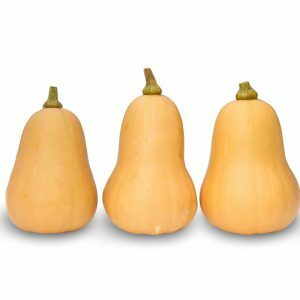 Autumn Crown produces an abundance of attractive early maturing butternut-coloured scalloped fruits each weighing around 2 kg from reduced vines. The long- storing fruits have a unique ‘sweet melon’ aroma when cut and the flesh is a deep orange with a small seed cavity. Larger fruited variety bred for the Northern European climate. Fruits weigh an average of 1.5 kg. 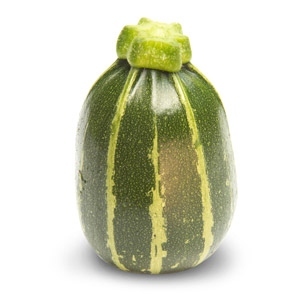 Hercules is well suited to the catering market where larger fruits are needed. Good internal colouring and strong skin. Compact plant habit compared to US varieties. 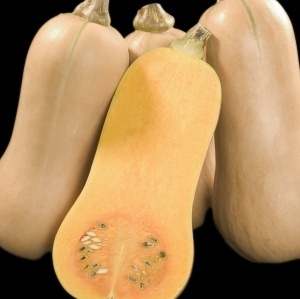 Very reliable ‘stocky butternut’ with little waste. Bright orange, wonderfully sweet flesh. Stores well. Approx. 2.2lb in weight. The smallest of our new fast maturing varieties with fruits averaging around 700g. Hawk emerges very quickly, producing a large crop of attractive, uniform, bulbed fruit. 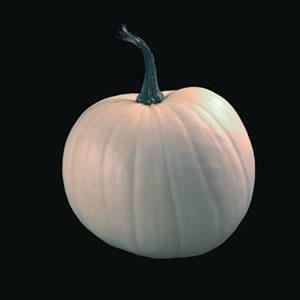 Small white pumpkin used for decorative purposes. 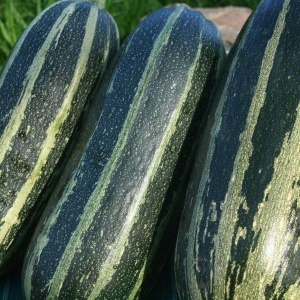 Attractive baby marrow with a bush type habit and good flavour. 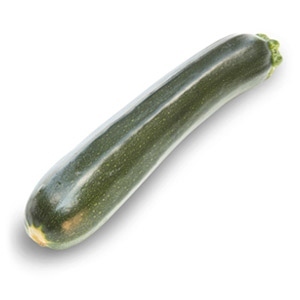 Bush baby has been bred to satisfy the market requirements for a smaller marrow. 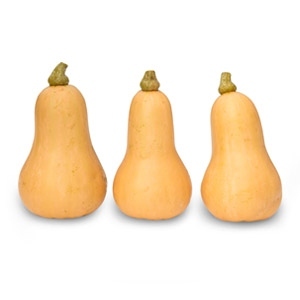 Approximately three quarters the size of a standard variety, Bush Baby is suited to both field and container production and produces a high count of fruits per plant over the season. An early bush variety with highly uniform mid green and cream striped fruits. The first hybrid to have intermediate resistance to Cucumber Mosaic Virus. It is now very popular and is grown across the UK and Europe. A real dual-purpose variety. 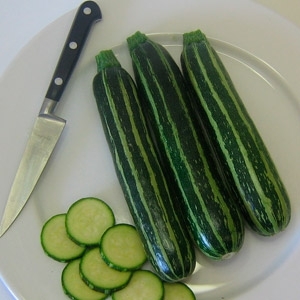 Produces an abundance of nearly round green striped courgettes which are a great shape for kebabs. 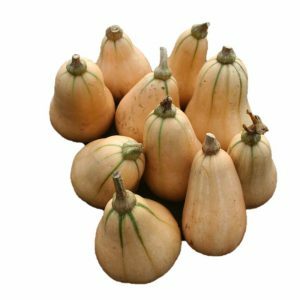 These fruits can also be left to rapidly mature into small round marrows which are perfect stuffed. A neat spine-free bush habit makes this variety easy to grow and perfect for container sales. 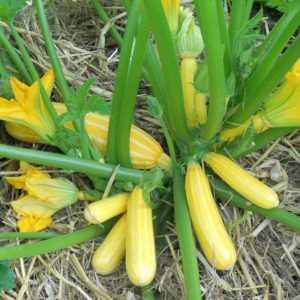 Produces very attractive, round, yellow courgettes from a bush habit. 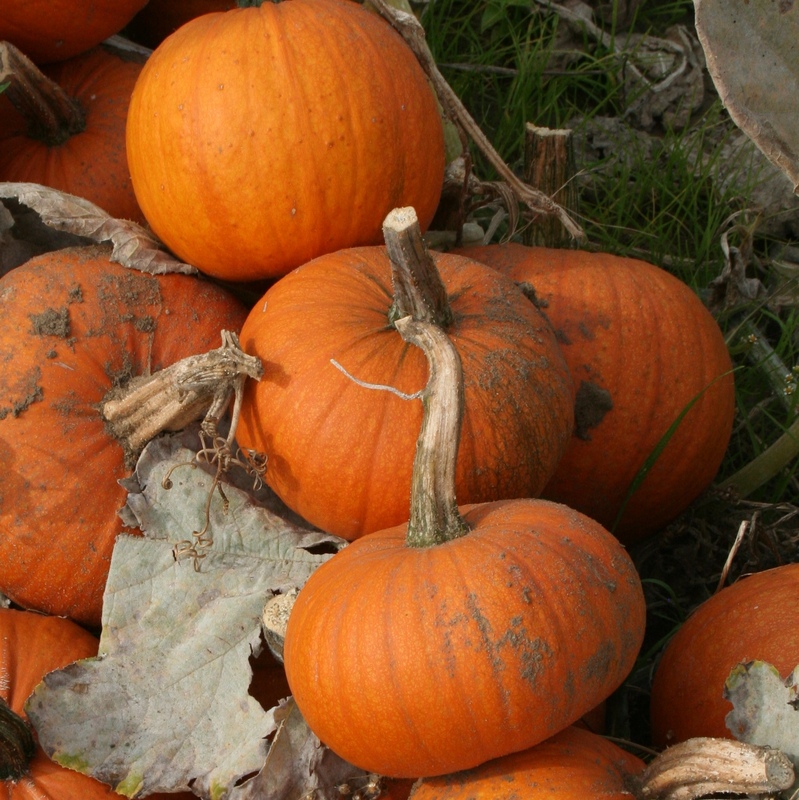 These can be left to mature into midi-sized pumpkins. High yields of very pale green ‘white’ fruit which have higher dry matter content than standard dark green varieties, resulting in superb eating quality. Wonderfully vibrant golden yellow striped tasty fruits are produced from spineless bush habit plants. 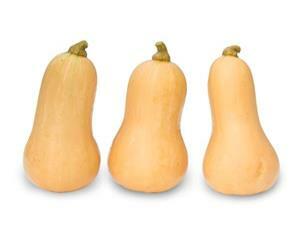 Great uniformity for shape and a high yielding variety with great flavour and texture. 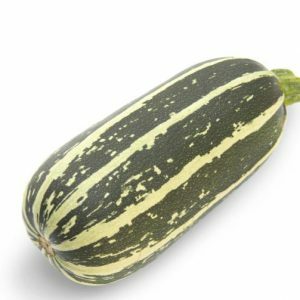 A totally unique, brand new courgette with striking green striped fruits. The tasty perfectly cylindrical fruits are produced in abundance from spine free bush habit plants and look great sliced. 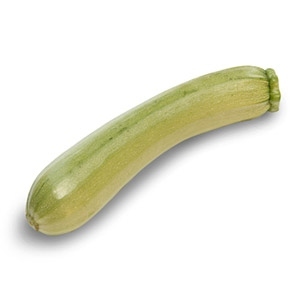 A real contrast to standard courgettes. This variety out performs Ambassador in yield and grade out. Very slender, straight dark fruit. Has intermediate resistance to powdery mildew and widely adapted. Few spines.